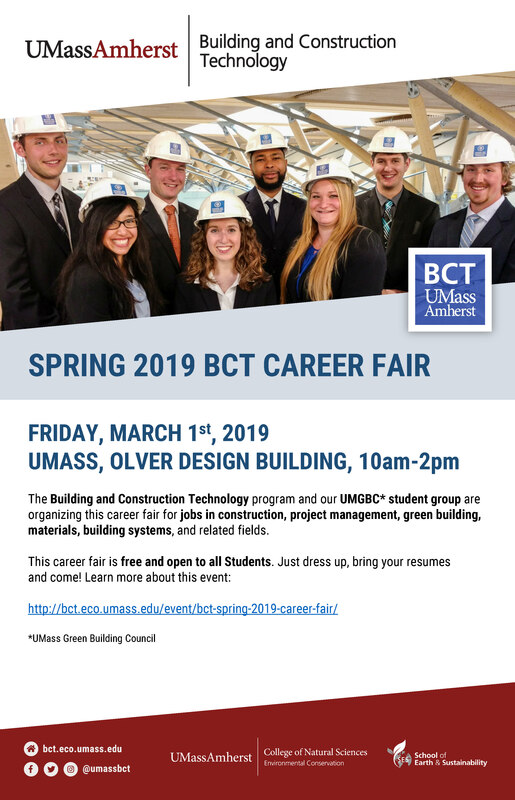 The Building and Construction Technology program and our UMGBC* student group are organizing this career fair for jobs in construction, project management, green building, materials, building systems, and related fields. This career fair is free and open to all Students. Just dress up, bring your resumes and come! The list below shows employers that have signed up for this term’s career fair together with job opportunities that they are hiring for. Employers: Interested in exhibiting at this fair? We still have space. Register here!